Okay, I did actually do a little more than catch up with friends. To be fair though, I didn’t have much planned. After being up a bit late last night (just watching TV and working on my blog), I woke up this morning knowing I wanted to get yesterday’s post finished before heading out the door. And funnily enough, as soon as I posted it on Facebook, one of my friends gave me a couple of recommendations that looked good, so I decided to take those recommendations! Well, one of them at least – the other one seems to have odd opening hours, so I couldn’t go today, but I still might tomorrow, so I won’t tell you what that one is until then. So what’s the place I did visit? It was another new-to-me place near Holborn called Sir John Soane’s Museum. And who was he? A famous architect, apparently! 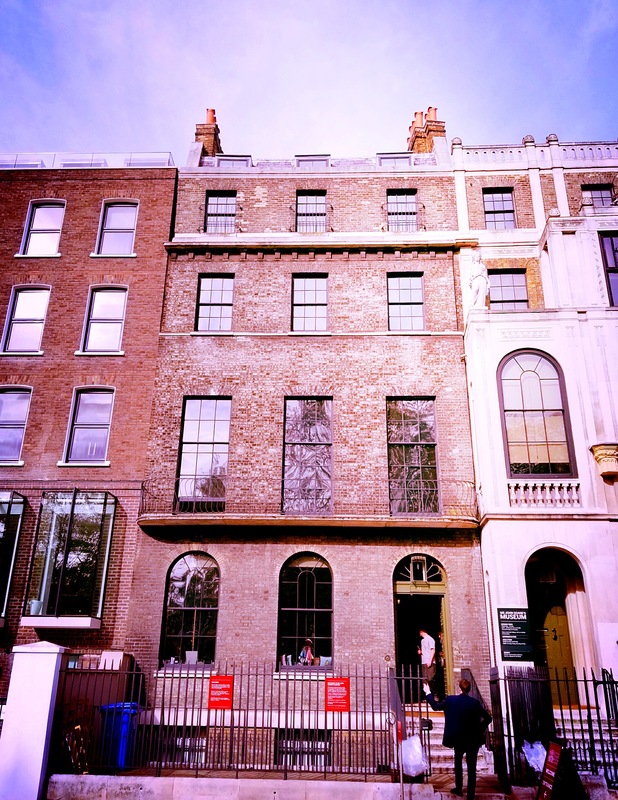 While I wouldn’t call myself an architecture buff, I like to look at interesting buildings and I was intrigued by the fact that this museum is housed in Soane’s own home, which is actually three homes together. 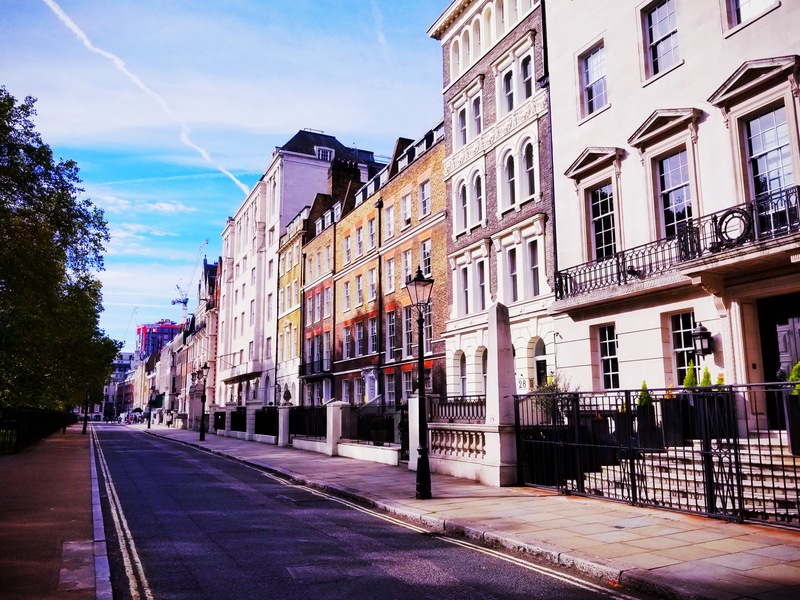 Also interesting is that, before his death, Soane worked with the government to pass the Soane Museum Act, which declared that his houses and all his possessions should be preserved exactly as he left them at his death (as much as possible). As part of the act, all of these items passed to a board of trustees rather than to his son, who would have otherwise been the legal heir to everything, but Soane didn’t want his son to have any of it (it seems they didn’t have a great relationship). So yes, this dad literally worked with the government to keep his son from inheriting anything. Cold! So how about the museum? 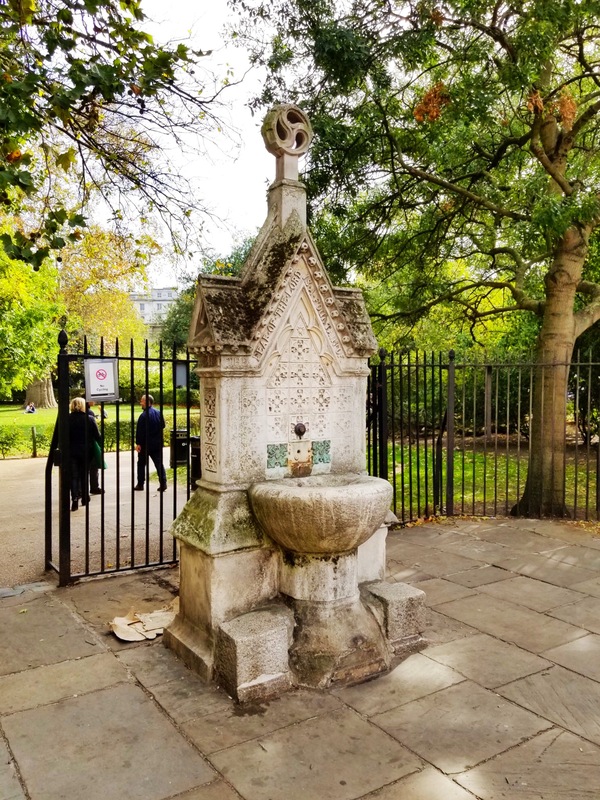 Well, it’s quite literally crammed with all sorts of things – paintings, sketches of architectural concepts, sculptures, and lots of other art. There’s even a big Egyptian sarcophagus on display! That said, the museum itself was kind of underwhelming overall as I found the flow of it to be a little cramped and confusing (though I fully understand that cramped feeling is deliberate, based on Soane’s will) and I was annoyed at the fact that no photography is allowed inside. I mean really, what purpose does that serve? But admission is free, so that’s a plus! And the museum worker I spoke to outside gave me a nice little overview of the museum when I asked him a couple of questions, so that was nice. 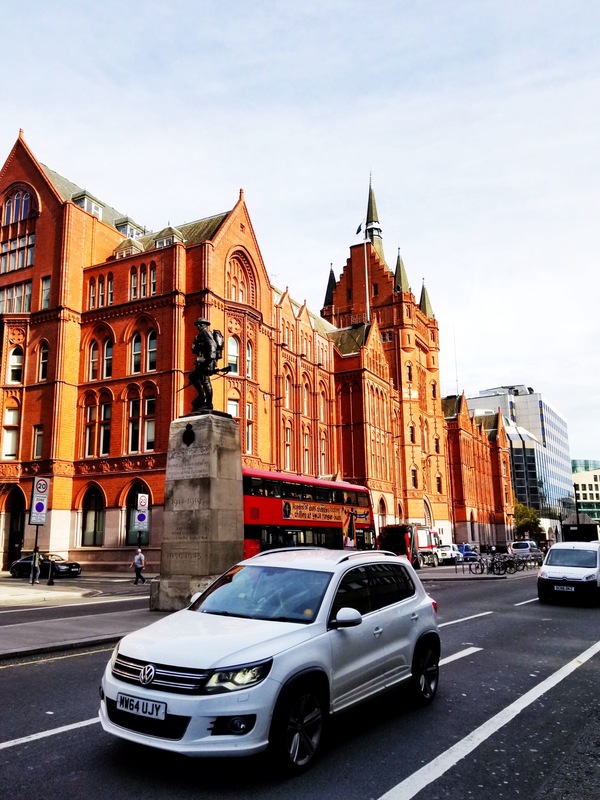 If you’re big into architecture or you’re around Holborn with a little free time, you’d do well to visit. 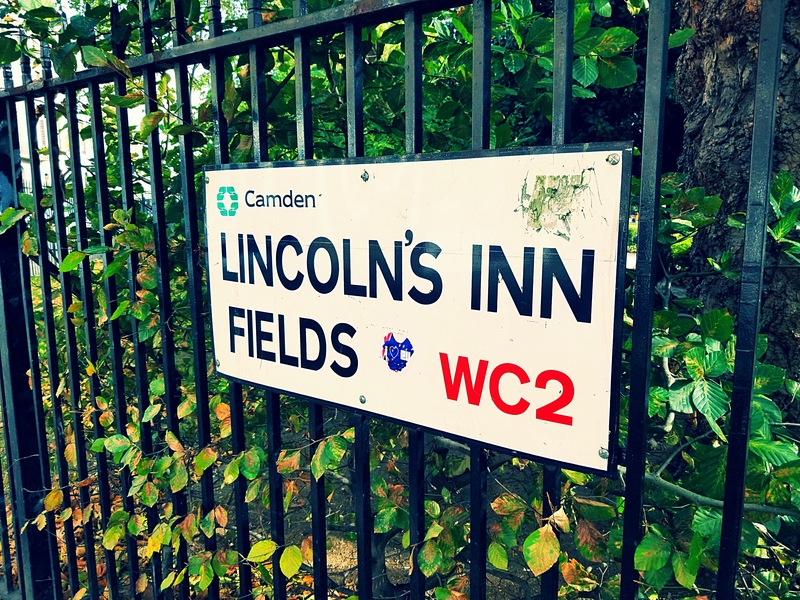 Lincoln’s Inn Fields is just across the street from the museum and is apparently the largest public square in London. 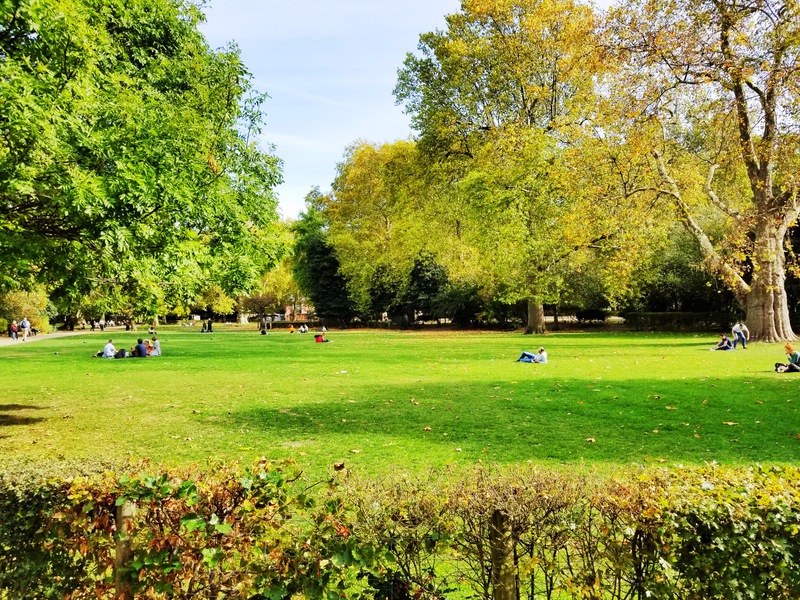 The weather was especially warm and sunny today, so lots of people were taking advantage of that! The museum, though this photo focuses on just the middle building, when in fact the houses on either side are also included. Looking towards the museum from the end of the street. Lots of nice-looking buildings! This is where I cheated the rules – in the bathroom! 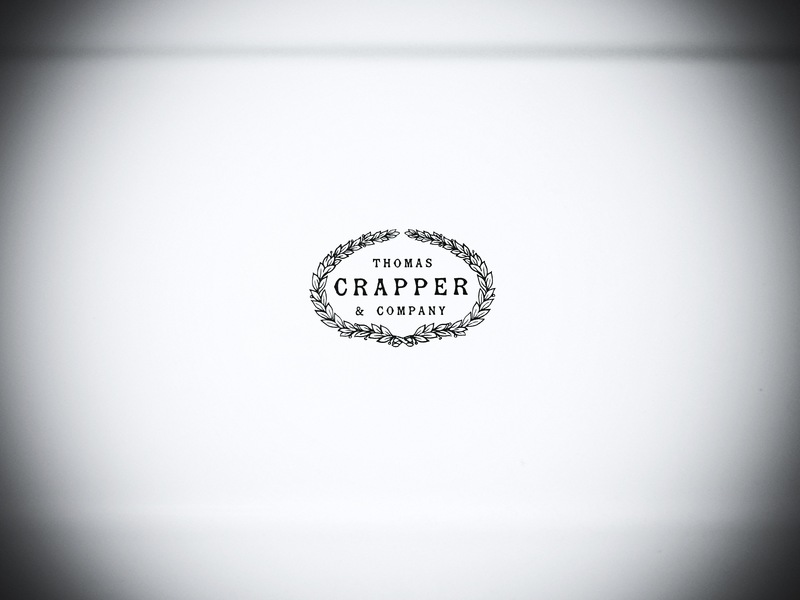 I assumed Thomas Crapper’s name was the origin of the word “crap” but apparently it isn’t! Who knew?? 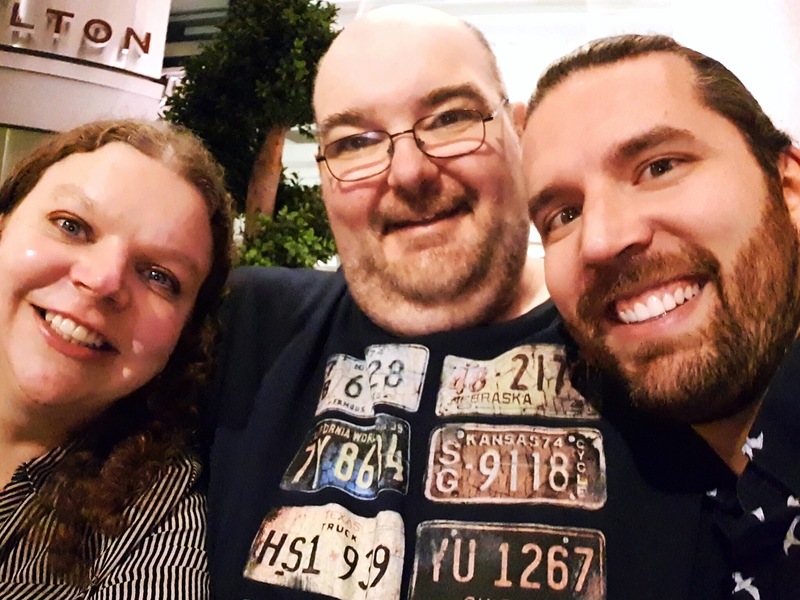 After the museum, I started making my way towards Tower Hill to meet up with two friends, Lea and Mark, who I had talked to earlier in the day to see if we could meet up for a drink. I’ve known Lea since 1999 when we both joined an Iowa-based Doctor Who group (she’s from Iowa as well and was still living there at the time, though I was living next door in Omaha, Nebraska) called the Universal Network of Iowan Time Lords (UNIT for short). The group was once a thriving email list (anyone remember those?) and we coordinated meetups two or three times each year for several years. I had so much fun in those days! When I joined the group immediately after it was formed, Doctor Who was well and truly dead and we were in the height of what we fans call the Wilderness Years, when the only new Doctor Who we were getting was in book form. At the time, I was 17 years old and had never been to conventions, so I didn’t know anyone else who watched Doctor Who. It was great to find a tribe of people like me! In fact, it was with a small group of UNIT friends, including Lea, that I went to my very first convention! The rest of my pictures are from my walk between the museum and the hotel where I met up with Mark and Lea. The weather was so sunny (actually kind of hot!) and I enjoyed the views of my favorite city. 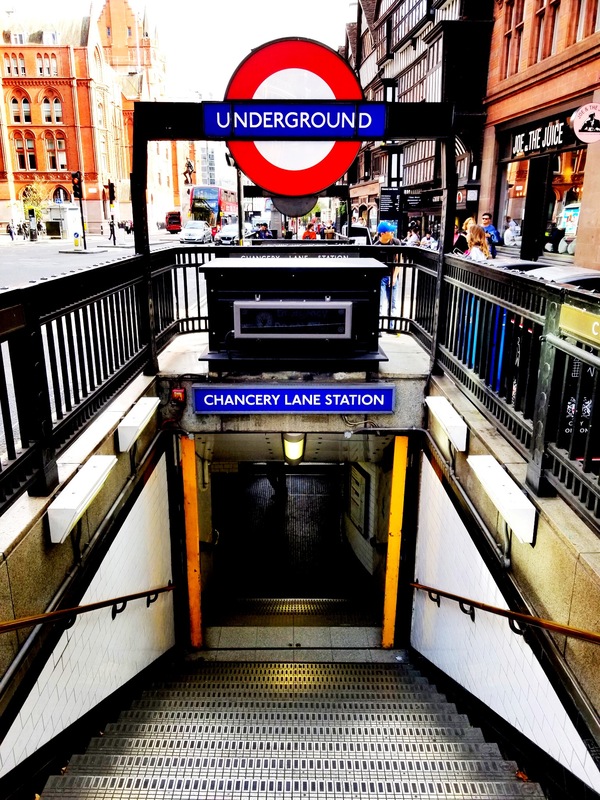 Still loving those Underground signs! Although it looks cool, this building didn’t seem to be anything special. 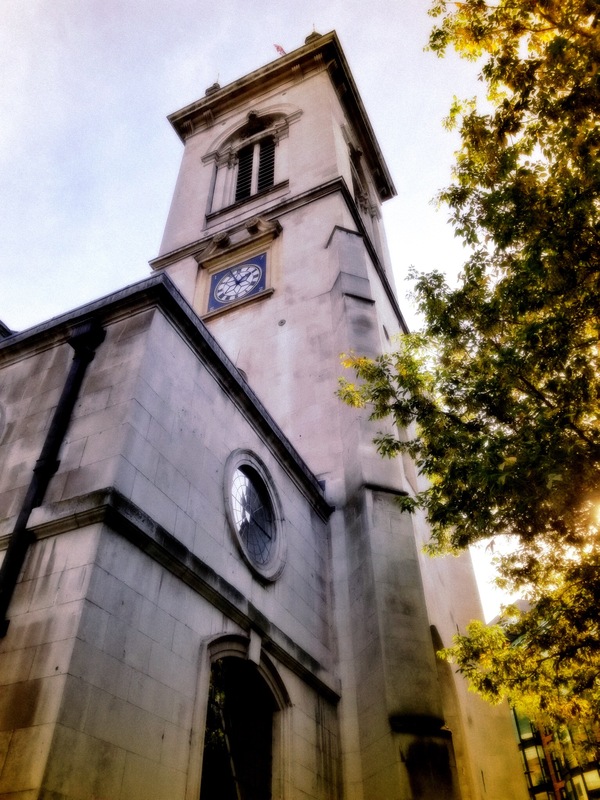 The Church of St. Andrew, Holborn. 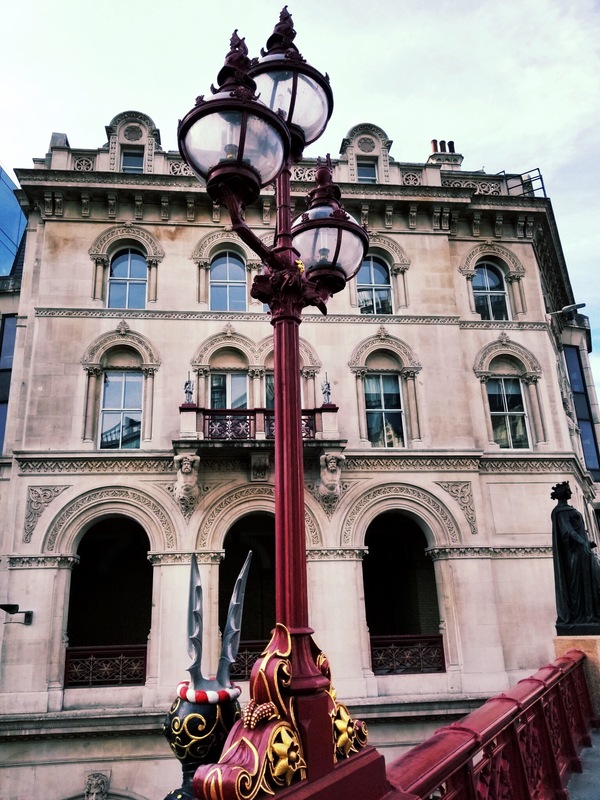 I really love the lampposts on the Holborn Viaduct. 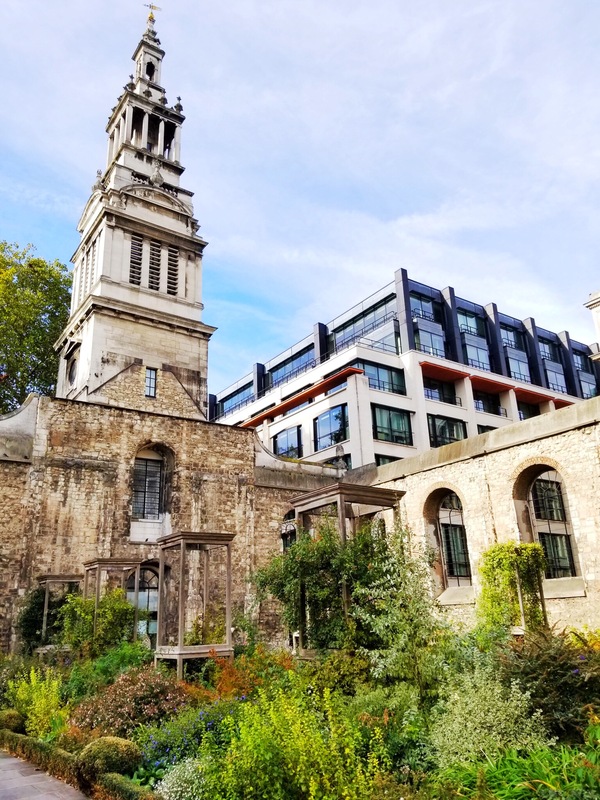 Christchurch Greyfriars Church Garden, which stands on the site of two churches – one that was destroyed by the Great Fire of 1666 and another (designed by Sir Christopher Wren) that was destroyed by bombs in World War II. 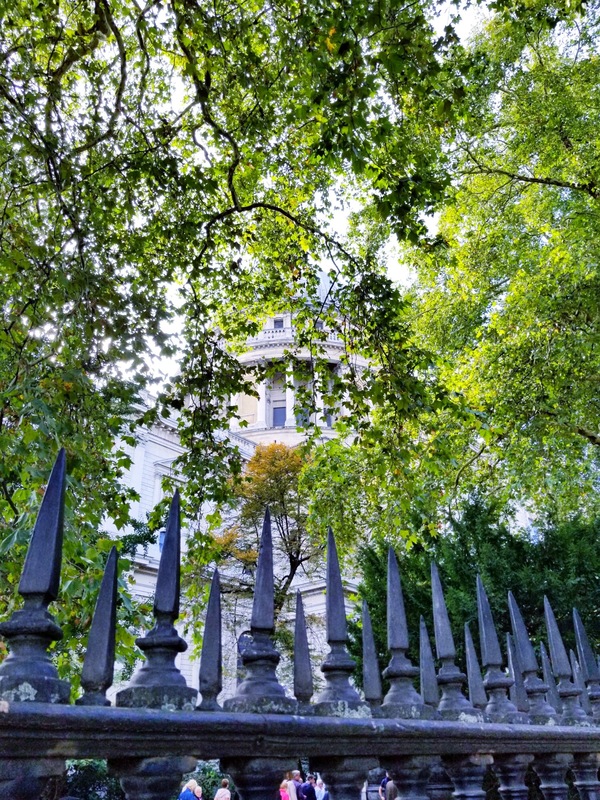 A passing glance at St. Paul’s Cathedral. 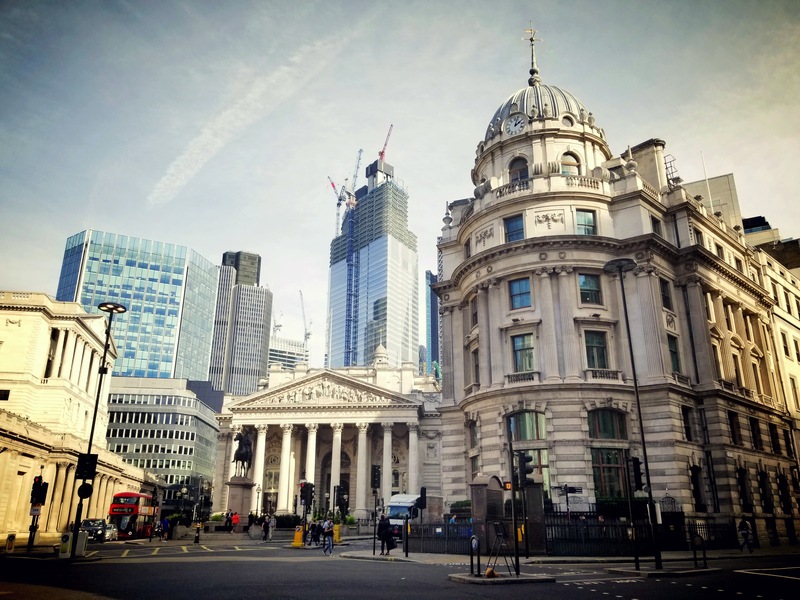 I just love the way the old and new buildings look together in this photo. 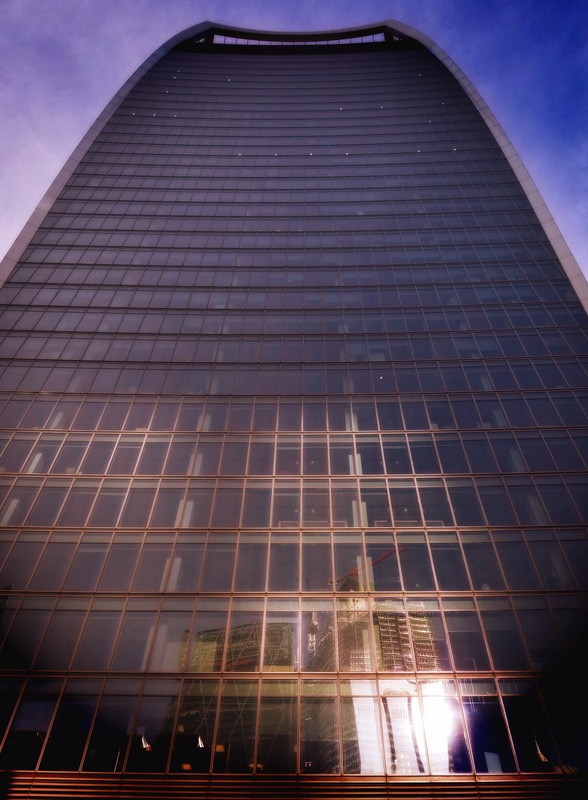 A fun angle on the Walkie Talkie. And of course, we had to take a selfie! What a nice day! There’s nothing like a good conversation with friends to re-energize you. 🙂 Tomorrow is Sunday, which means I’m going to be going to the show I mentioned yesterday (just kidding – I haven’t told you the name yet!) and will possibly be going to the other museum my friend recommended. Not sure what else I’ll do though. Maybe a good pub meal? Walking along the Embankment? There’s a bit of rain in the forecast, so that will probably influence my decision. Check back to find out!